Kids love play dough and they love making it just as much! Mix all ingredients and knead, knead, knead! This is especially fun for your toddler! Keep kneading and you will get a nice consistency, you may find you "knead" extra water. Add about 1 tablespoon at a time. Before long you will be able to roll into a ball and other shapes. 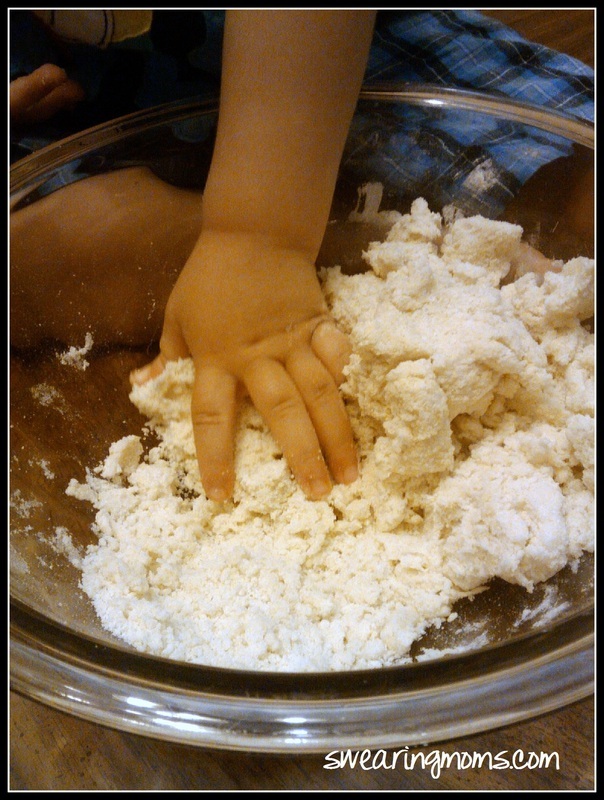 Did you know making play dough with your toddler is also great for development? Motor skills: Develops strength and coordination. Creativity: Not only does it help develop the mind but also, problem solving, imaginary play, and decision making. Social: By playing with playdough in a group setting, your toddler learns important social skills, such as, sharing, communication, and interaction with other children. Learning: This can be a fun learning game, by mixing different colored playdough and teaching your child the different colors.